With all the attention given to the local art scene in recent years, it is not surprising to see more local talent come forward to showcase their various designs and creations at local events arts event. Yet sometimes due to various constraints like physical space, these creative minds are often confined to this limitations and unable to fully explore their full potential. This is where Japanese electronics company Epson who is one of the world’s largest manufacturers of computer printers, information and imaging related equipment, comes into the picture. 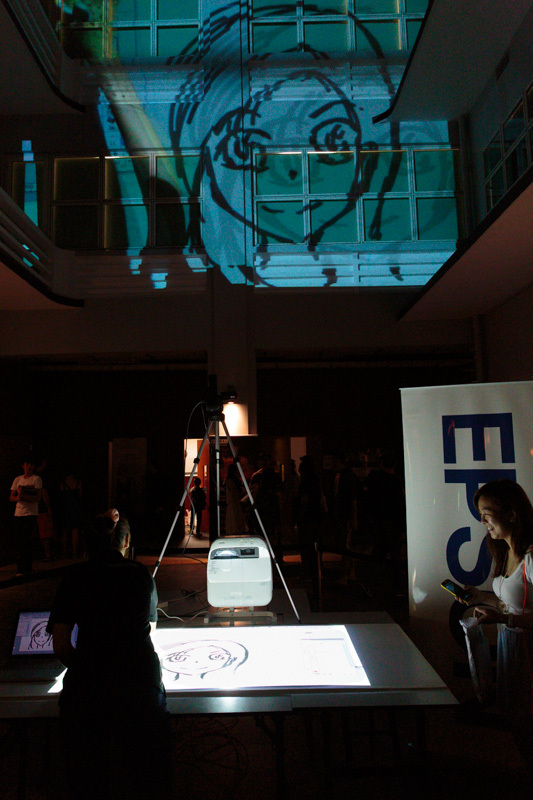 Using their many years of experience in research and development, Epson will be using technology to give the local arts scene a big helping hand with their latest interactive projectors at the recent Aliwal Arts Centre’s Arts Night Crawl event. Setting a new milestone in the local arts scene, the inaugural event is significant with 40 free performances held at the newly opened arts centre by 19 contemporary and traditional arts groups.The neighbourhood around Kampong Glam district will join in as well to bring visitors a fresh look at art. 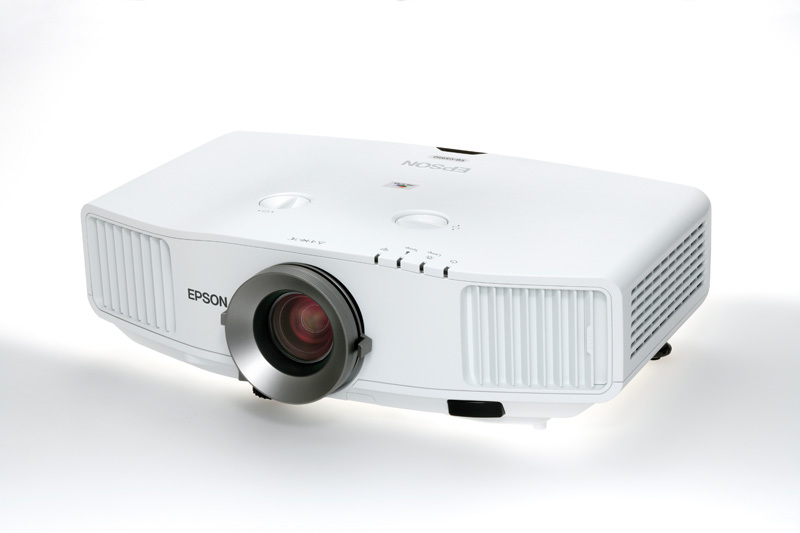 With the help of the EB-1410Wi, Epson’s ultra-short-throw interactive projector, Local artists drew caricatures as well as graffiti designs in real-time on a white board with an interactive pen. The creative process and results were instantly projected on one of the Aliwal Arts Centre’s facade. Including the EB-1410Wi, four projectors (2 of G5950 & 2 of G6150) were used during the collaboration to display the multimedia and art projections on two building facades. This is definitely a very interesting move by one of the big names in the technology industry. 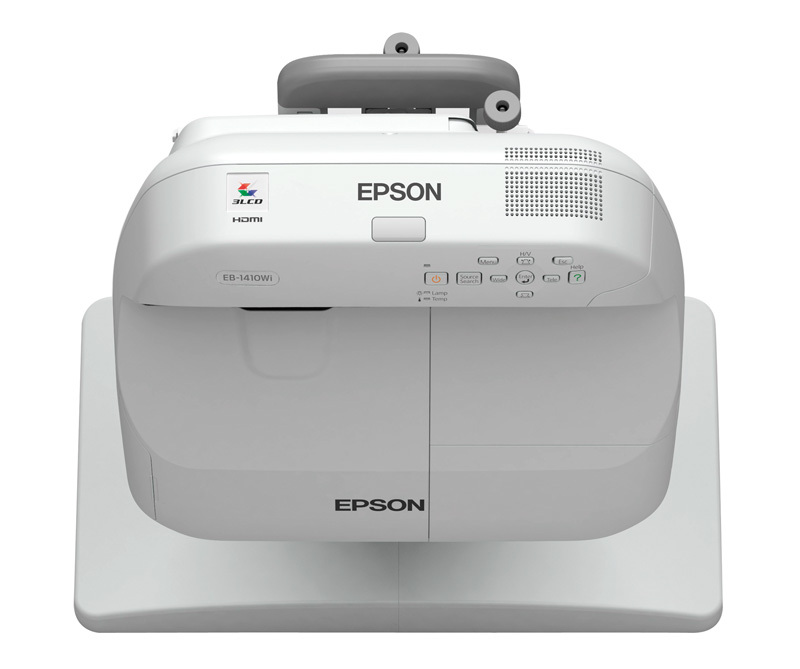 While it is common to see big plays giving support in terms of practical and financial areas, this move by Epson is rather unique and special.After all, it is not everyday that you see the transfer of technology being done in such a creative way. 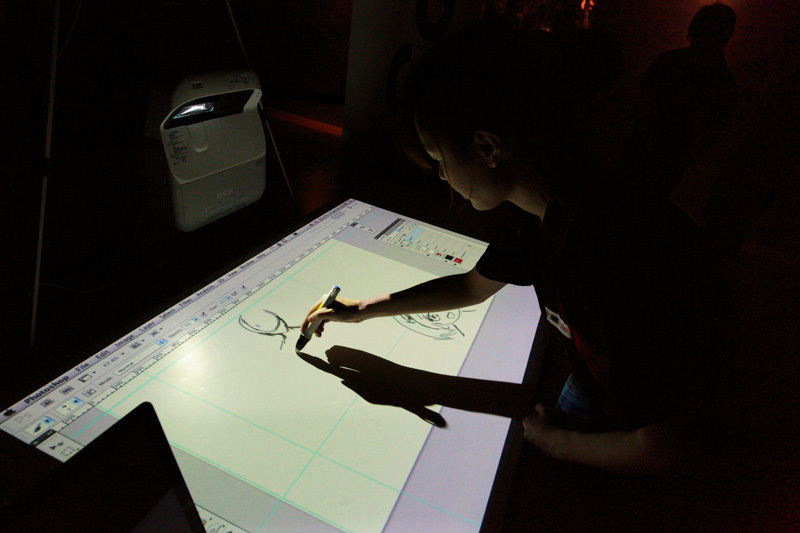 Local artists drew caricatures as well as graffiti designs in real-time on a white board with an interactive pen, using Epson’s interactive ultra-short-throw interactive projector EB-1410Wi. Not only do you get to see local artist creating their masterpieces in real time, this technology can effectively turn any large surface like a wall into a giant canvass to enable a larger viewing crowd. This also opens up new possibilities to allows creative minds to do bigger visual displays compared to the traditional canvass. I do hope that this will be the the first of many more interesting collaboration to come where technology continues to play a helping hand to help the local arts scene grow. Product Photos courtesy of Epson Singapore.